This is the interior of a 1968 WM300 Dodge Power Wagon. Gauges on earlier Power Wagons differ slightly. 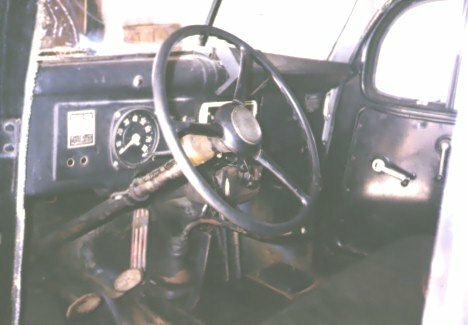 The "padded dash" on the passenger side was apparently added for safety along with seat belts on the later trucks. The windshield regulator handle (used to crank out the windshield) in under the hinged part of the padded dash.